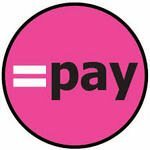 The following day, April 14, is Equal Pay Day, the date that women have to work into April of the current year to earn as much as men did the previous year! YES, it is true. Even though women now constitute almost half of the total workforce (47%), women still earn 78₵ to a man’s $1.00. Jacqueline Cooke, New England Regional Administrator, U.S. Department of Labor Women’s Bureau, and a participant in the President’s National Equal Pay Task Force meetings in Washington, D.C., will share her knowledge about efforts to CLOSE this wage gap on the federal, state, and city levels! She will also discuss steps you can take yourself to narrow your future gender pay gaps. WE HOPE TO SEE YOU NEXT MONDAY TO LEARN OUR CURRENT RIGHTS, DISCUSS POTENTIAL IMPROVEMENTS, AND SHARE LUNCH AND CONVERSATION!